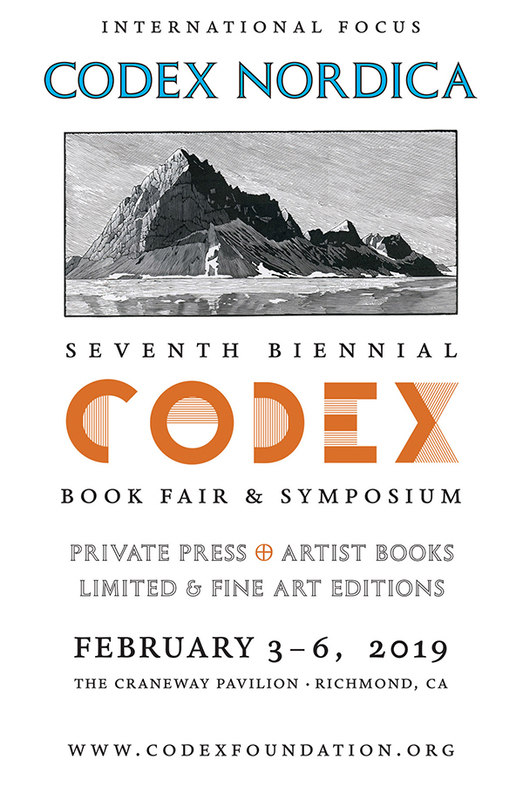 A group of artists who work with books will be travelling out to California at the beginning of February 2019 for the international focus at this years CODEX book fair and symposium run by the Codex Foundation. We have six stands, one for each of the Nordic countries (Denmark, Finland, Iceland, Norway and Sweden) and one for a collective project Bibliotek Nordica (www.codexpolaris.com/bibliotek-nordica). We will also be opening the exhibition of Posted/Unposted ++ at the San Francisco Center for the Book on the 2nd February, and giving a talk about Codex Polaris at the Book Club of California. This project is a Codex Polaris Project.